Our last post spoke about the Club and the Eva, the two of the most popular collections from the Furla range. Today, we are going to take a look at the Giada. These watches are built on the Summer’s motifs and inspired by the vividness of the nature, bringing you that pop-glam touch. The Giada collection, to say the least, is contagiously playful. Fusing together the tropical jungle prints, clean lines and other Summer nuances, their exotic patterns bring an essence of freshness that follows the long, bitter winters, making every Furla Giada watch a glamorous must-have that stands apart with unique designs and sophisticated details. Despite all that, they are impeccable pieces for daily use; their exclusive styles in high-grade materials creating for some coolest designs that makes for some real versatile use. The Giada collection from Furla features stylized ‘flowers and butterflies’ embellishments that make them festive and fashion forward at the same time. Powered by the caliber Y120EY high quality Japanese quartz movement housed inside durable stainless steel or IP gold case and topped with scratch-resistant mineral crystal glasses, they are fit for every boisterous activity a girls’ day out might bring. The Giada are cost-effective, fun accessories that go with just about any outfit, so that you may plan your day instead of planning your dressing. 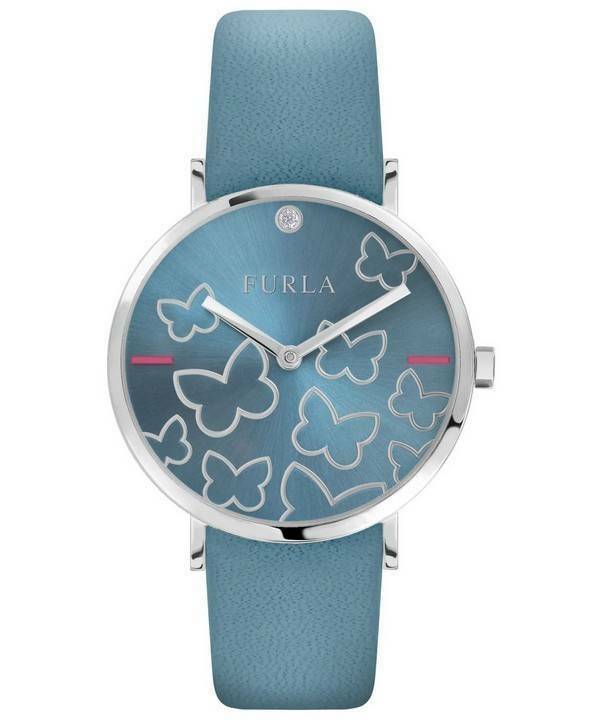 That way, Furla Giada watches define a lifestyle rather than your dressing style. Vibrant, lively, colorful and exotic, every Giada watch encompasses these qualities of the wearer who is joyful and embraces fun in every possible way, any given time. Each of the watches in this collection is a statement in fashion-forwardness despite being cost-effective. They don’t just make you appear colorful but also puts a smile on your face that comes from within and leads you to follow a different rhythm altogether. 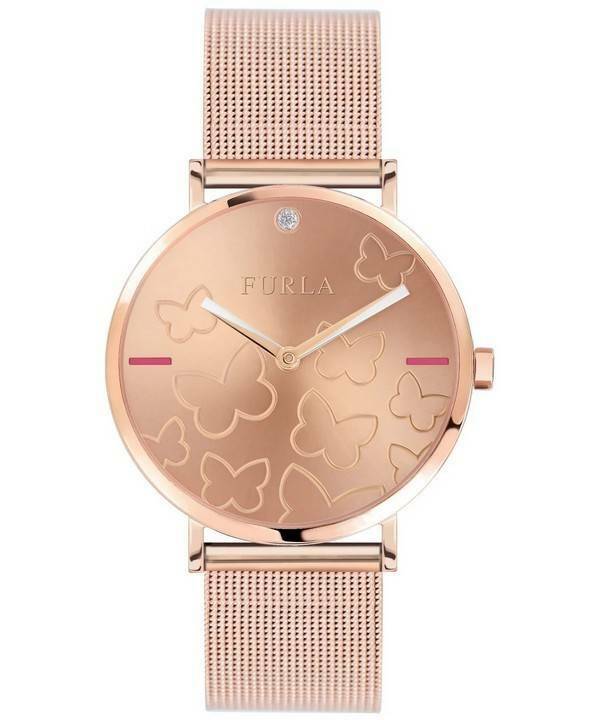 Together with the choice of genuine Furla leather bands – some embellished with metal studs – and well-fitted stainless steel bracelets coordinating with the case and dial colors, look into the future with positive energies defining the warm, Summer months. Every Giada watch fully embodies the Italian style and kindles the desire for a lifestyle that’s lively and outgoing. Their contemporary aesthetics and color schemes inspire and engage to cross the stylistic barriers – in fact, any confinement in your dressing sense to renew your quest for value and beauty in the most creative of fashions. These are pieces that attain showmanship by virtue of craftsmanship, with technical superiorities ruing the roosts! Never again you have to think about your fun activities ruining the prized piece on your wrist, come hell or high waters! The Furla Giada will keep ticking and shining till you are over with it and going for another one from the collection. Newsletter: Citizen Watches on Sale – Coupon code inside!! Swish or sedate: Hamiltons suit all! Newsletter : Seiko All-Titanium Sapphire Watch on Sale! Only US $130 with Free Worldwide Shipping! Newsletter : Daniel Wellington Watches On Sale – Additional 8% Discount Code Inside! !